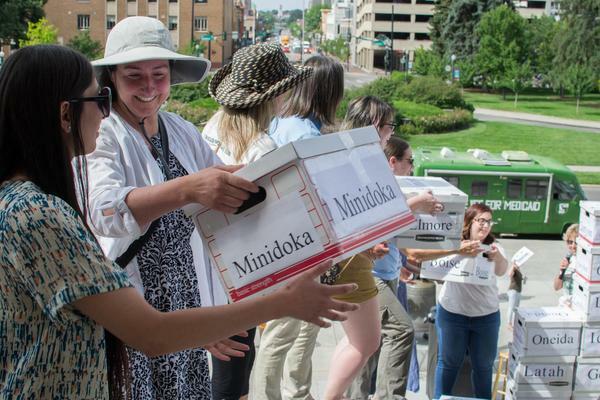 Medicaid expansion advocates gathered enough signatures for a November ballot initiative on whether to expand the federal health insurance program. The study out of Georgetown University shows that the number of uninsured adults went down in states that expanded Medicaid. Colorado in particular saw one of the biggest drops. The report also shows that expansion increased access to healthcare in rural areas - that’s about a quarter of the population in our region as a whole. "By helping keep rural hospitals open, Medicaid helps not only families that enroll but also entire communities that benefit from the availability of rural health care providers." In the Mountain West, Colorado and Montana are among 34 states that have opted to expand Medicaid. Idaho, Wyoming and Utah did not. Although that might change come November.